Apple has reportedly been in contact with executives and craftsmen at Swiss watch brands as the company attempts to strike new partnerships and bring high-end watchmaking expertise in house for development of a so-called "iWatch." Watchmakers have been reticent to throw in their lot with Apple, according to the Financial Times, because the companies have little faith in the potential of smart watches. Among the most vocal opponents is Swatch CEO Nick Hayek, who reiterated his belief that technical constraints will ultimately doom the category. "We have been in discussions - not ever initiated by us - with practically all players in smart wearables up until today," Hayek said. "However, we see no reason why we should enter into any partnership agreement." "Never forget, to make a smartwatch work you need two hands or voice recognition, which again needs a lot of power which is difficult in a very limited space," he added. Apple, for its part, is said to have attempted an end-around by recruiting horologists directly. LVMH watch and jewellery chief Jean-Claude Biver said that Apple has attempted to lure employees from LVMH's Hublot brand and "several Swiss parts manufacturers." None of Hublot's employees chose to leave the company, according to Biver. While it is unknown exactly how Apple would leverage that talent, at least one executive believes it is possible that the iPhone maker is considering a hybrid mechanical-electronic device. The company might also be looking to the industry for expertise in working with new types of strong, lightweight metals. 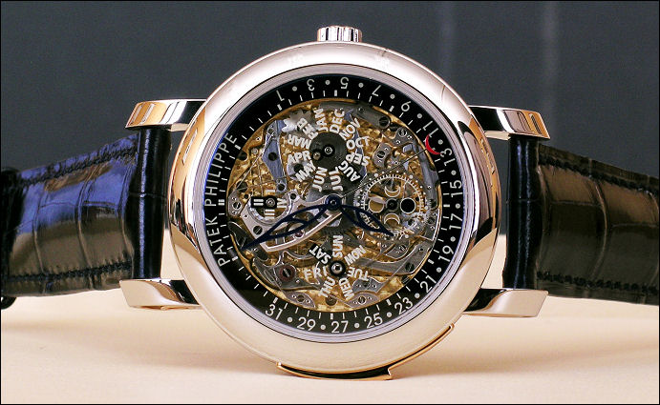 It is "conceivable that they [Apple] would be interested in developing a type of hybrid with some type of mechanical aspects...the Swiss watch industry is very adept at metallurgy," said Patek Philippe president Larry Pettinelli.